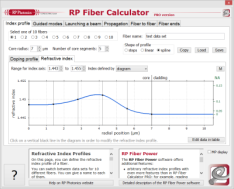 Ask RP Photonics for advice on the mathematical basics of optical pulses, perhaps in the form of tailored in-house staff training. For a given pulse duration, transform-limited pulses are those with the minimum possible spectral width. This is important e.g. 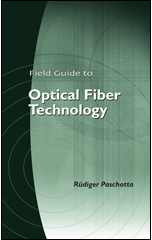 in optical fiber communications: a transmitter emitting close to transform-limited pulses can minimize the effect of chromatic dispersion during propagation in the transmission fiber, and thus maximize the possible transmission distance. Many mode-locked lasers, particularly soliton lasers, are able to generate close to transform-limited pulses. During propagation e.g. in transparent media, phenomena such as chromatic dispersion and optical nonlinearities can cause chirp and thus can lead to non-transform-limited pulses. Such pulses may be brought back to the transform limit (and thus temporally compressed) by modifying their spectral phase, e.g. by applying a proper amount of chromatic dispersion. This is called dispersion compensation. For not too broad spectra, compensation of second-order dispersion is often sufficient, whereas very broad spectra may require compensation also of higher-order dispersion in order to approach the transform limit.